The streak is broken! 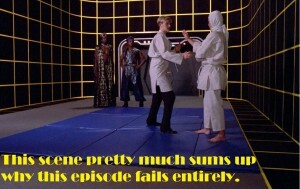 This next episode, while not perfect, is definitely a fair to good episode of Star Trek: The Next Generation. Newbies to the series, if you’ve been waiting for one of the good ones to come along, watch this episode and prepare for our discussion on Tuesday. 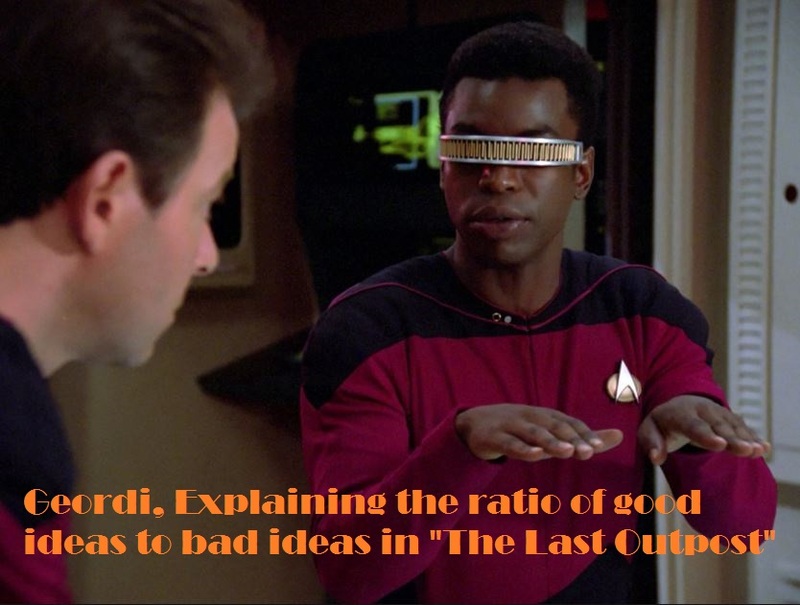 Die-hards, we’ll discuss what sets this show apart from the last three episodes, and why it shows some of the promise that later episodes of TNG will live up to. 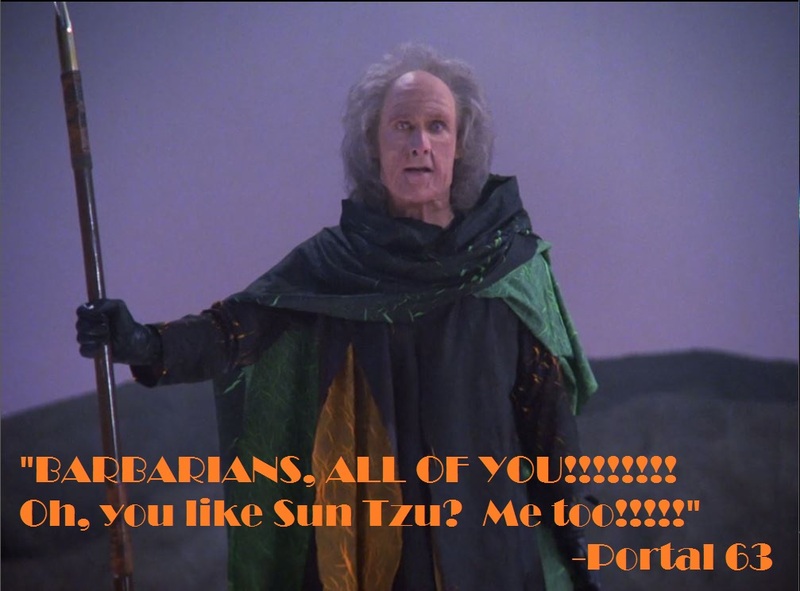 The Last Outpost is the third strike in a row for TNG – Dean, Paul, and Jason discuss why this episode is really trying to make the Ferengi an interesting foe for the new Enterprise, and why it just doesn’t pan out. Also, if you’re ever tested by an ancient guardian of a deserted alient outpost, start thinking about the “Art of War”, and you’ll be just fine. On the next episode, Paul and Jason are joined by Dean, and talk about the introduction to the Ferengi, a species of alien we’ve never seen before (at this point in the Trek timeline). 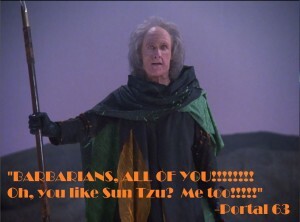 “The Last Outpost” was clearly meant to establish many things, one of them the Ferengi as a new and dangerous adversary. We preview the upcoming episode, here – full show coming next week (Tuesday). Oslec joins Paul and Jason this week, as we discuss Code of Honor – in a podcast that is less of a review and more of post-mortem analysis. This episode isn’t just bad, it’s clearly dead on arrival. But the speculation into how it got that way proves to be a fascinating discussion. 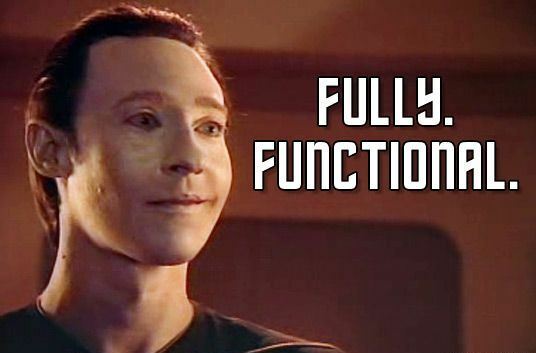 ALSO – Data tells jokes and Picard uses the Enterprise to Shock and Awe an entire planet full of people. Bad news – this episode is worse than the last one, and the pilot. Good news, this might be rock bottom – from which there’s nowhere to go but up. 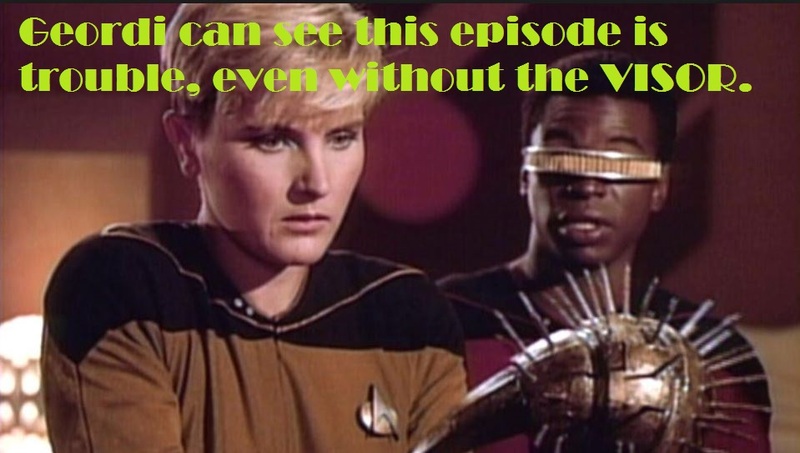 We’re going there – we’re going to discuss Star Trek: The Next Generation’s third episode – “Code of Honor”. We’d tell you to buckle-up, but there’s no seatbelts in Star Trek. 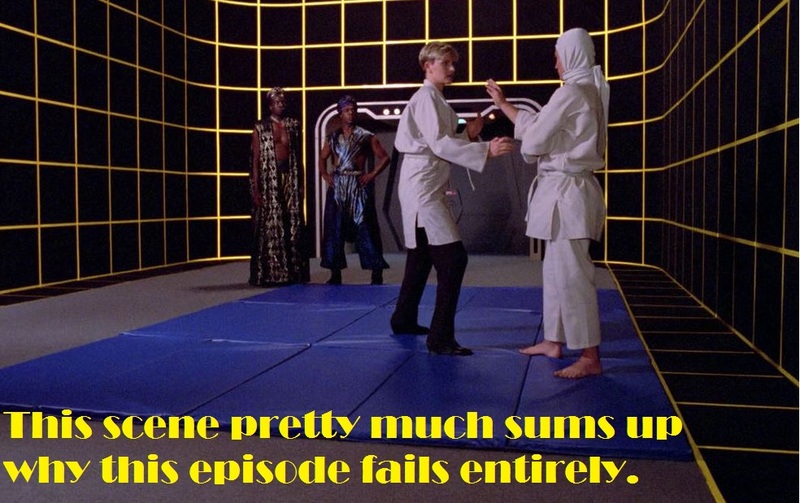 Paul and Jason are joined by Jeremiah, and they discuss what is perhaps the most awkward second outing of any television show of the modern era. Also, Data and Yar totally do it. This episode isn’t good – but it’s a lot of fun to talk about. So a couple of things right off the bat. Our thinking here is that previews come out on Thursday, you’ll have the weekend to catch the episode, then be up-to-speed when our new episode drops on Tuesday. Second – this episode that we’re going to watch… it’s pretty rough. If you’re a Trek veteran, you know what you’re getting into… so feel free to watch along with us. If you’re new to Trek, this one isn’t required viewing (unless you like copious amounts of cheese). Please enjoy this preview, and we’ll see you on Tuesday with the full show! Paul and Jason talk all things Q, Farpoint Station, and giant jellyfish in their discussion of the TNG pilot episode. 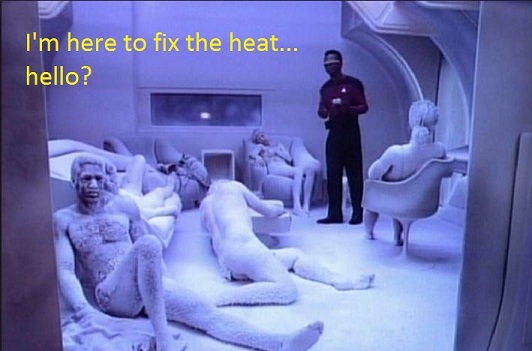 The introductory episode of Star Trek: The Next Generation is weird… but shows some of the promise that will eventually make ST:TNG a great show. 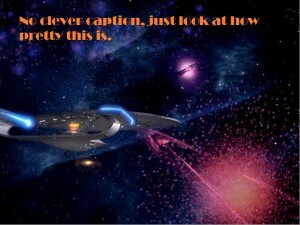 Hi, I’m Jason, and I’m a trekkie. Trekker. Trek Fan. However you say it. I’ve always wanted to put something out there on the web that shares my love of Trek, and invites others to re-live their favorite Trek memories, or maybe discover the Star Trek for the first time. So – my friend Paul and I decided – why not start a podcast? So here it is, and hopefully here you are. Along for the ride as we launch the “HiFi SciFi Podcast.” We’re starting with a review/ retrospective of perhaps the most definitive Star Trek series of all time: Star Trek – the Next Generation. Here’s a preview of our first episode – which should hit the web soon. Tune in, check it out, and hopefully stick around – because the human adventure is just beginning.